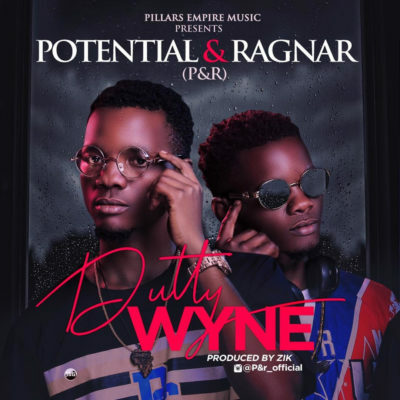 Download Potential & Ragnar [P&R] – “Dutty Wyne” mp3 now. Download Music MP3 Potential & Ragnar – “Dutty Wyne” right here. P&R are lovely Twins representing from Umuahia North LGA in Abia State.. born 7 April 1994… DuttyWyne is their first ever single! which was perform at SSMA(south south music award)in Benin City & also at the just concluded Erigga’s Genesis Show that took place at KFT Warri. If you don’t have “Dutty Wyne” on your playlist, you’re missing the song is produced by a young producer ”Zik” please download and share below. NB: Please be aware that Potential & Ragnar [P&R] – “Dutty Wyne” is hosted outside this particular website as we host NO file. In case of any copyearight claim and request for take down, kindly use our 'contact us' page to put a notice across.